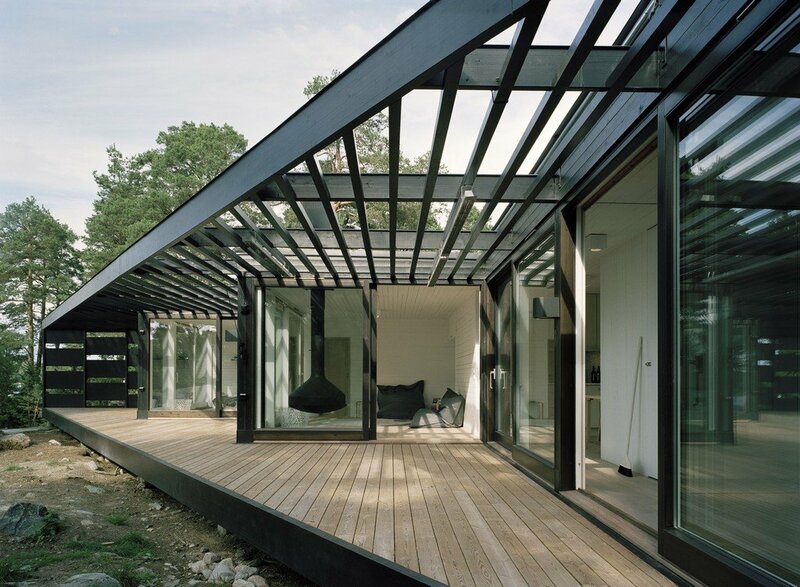 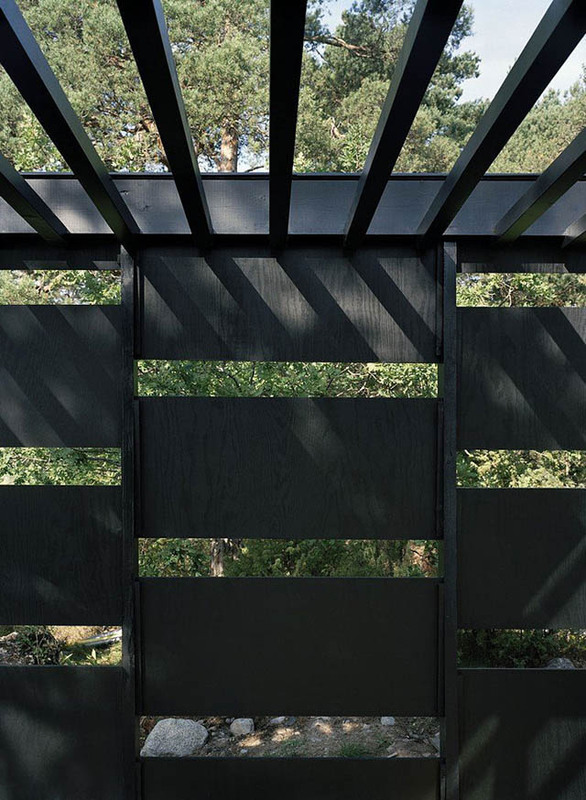 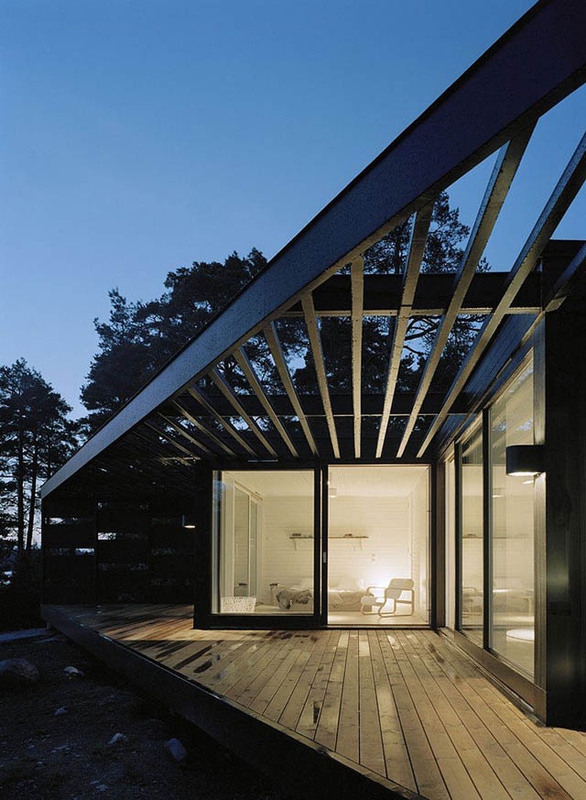 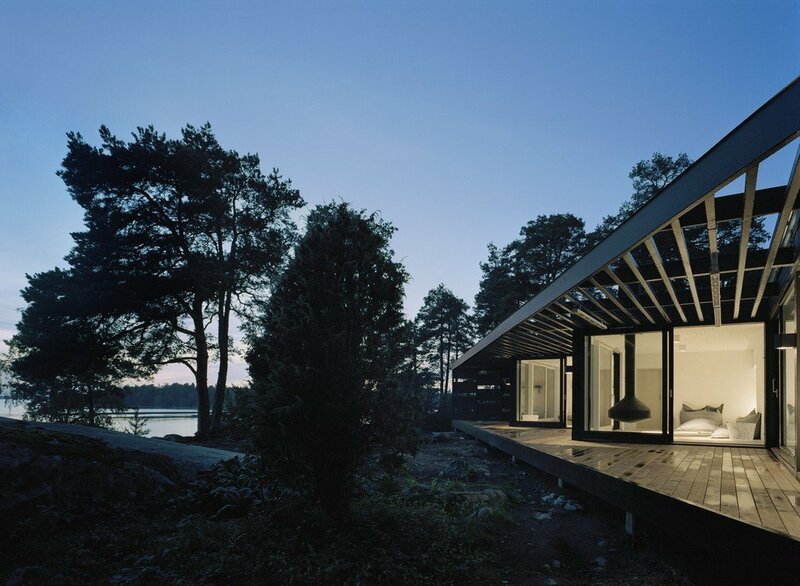 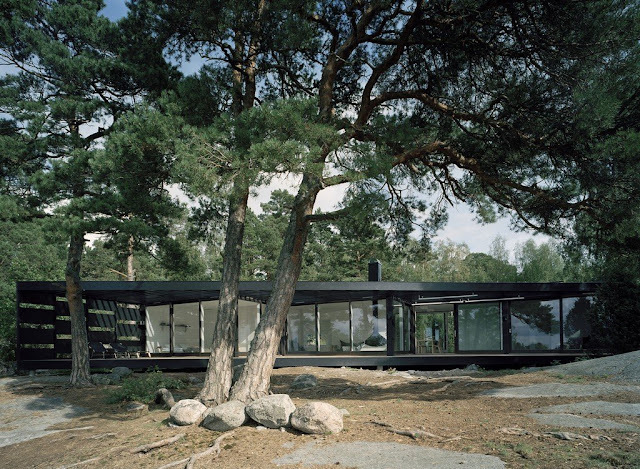 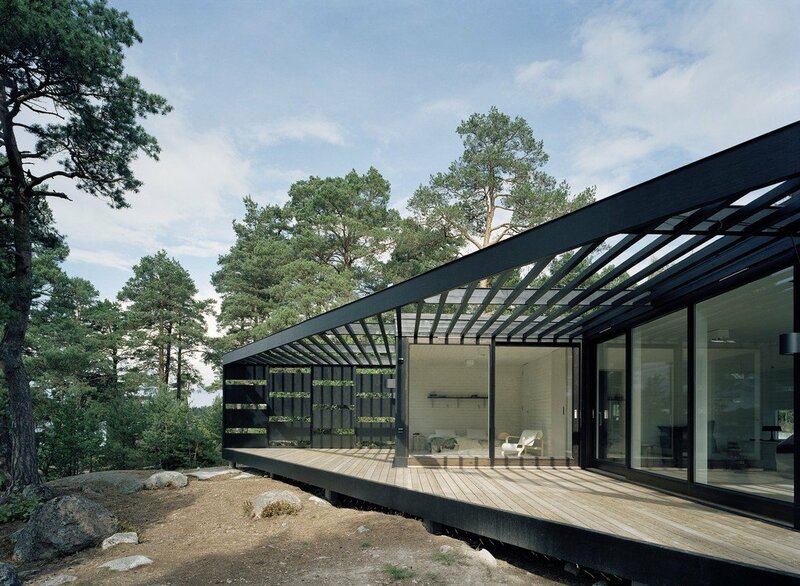 We love this exceptional modern house by Martin Videgård and Bolle Tham from the Swedish firm Tham & Videgård Arkitekter. 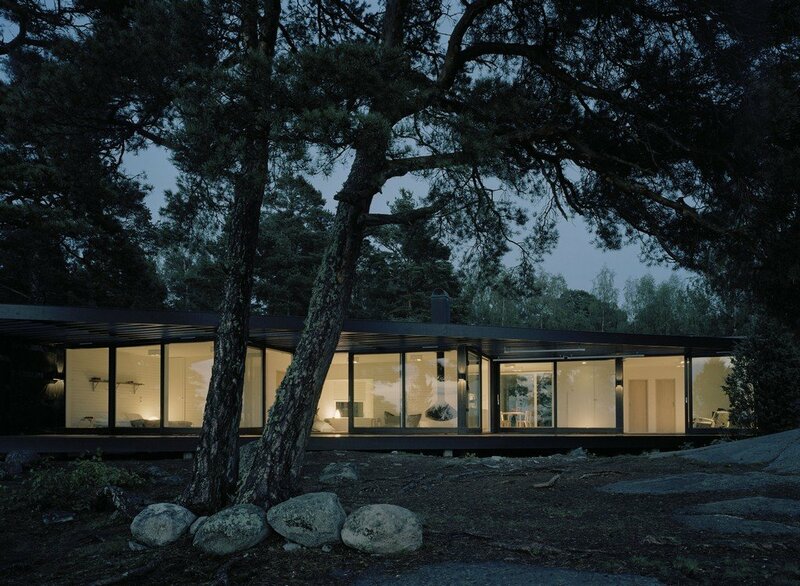 This visually stunning masterpiece makes use of expansive floor-to-ceiling windows to absorb as much of its natural surroundings as possible. 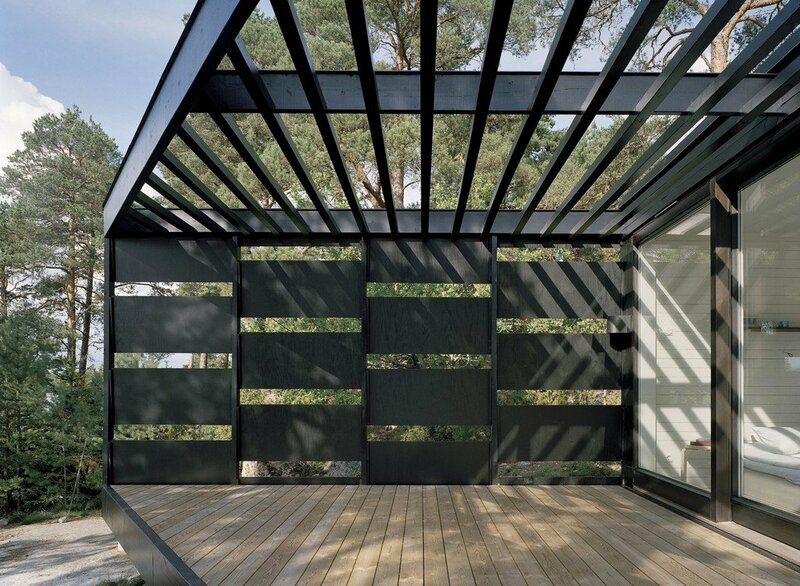 As a result of the large glass panes and the prevailing conditions of light, reflections and mirror-like effects, a quality is created where nature, space and horizon all interact together.